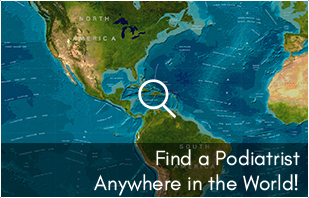 There are many possible foot conditions that a child can be born with. However, we shall focus on two of the most common conditions. 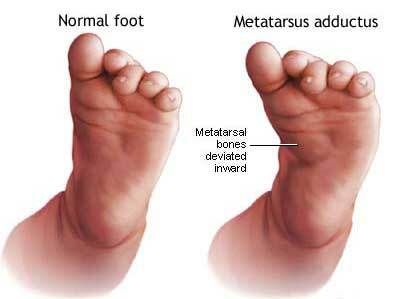 Club foot and Metatarsus adductus. 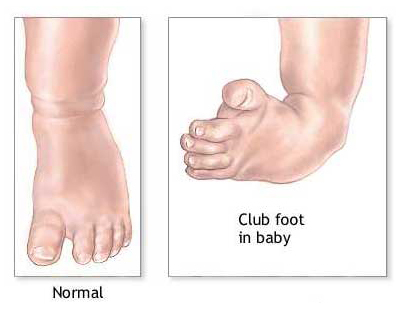 Clubfoot is a congenital foot condition, which affects approximately 1 out of every 1000 births in the United Kingdom. However, prevalence of this condition is twice as more in males then females. The deformity can be mild or severe and it can affect one foot or both feet. True clubfoot affects all the joints, tendons and ligaments in the foot and is often referred to as Congenital Talipes EquinoVarus. High arched foot that may have a crease across the sole of the foot. The heel is drawn up. The toes are pointed down. There are many treatments available for clubfoot and many different opinions exist concerning treatment regimes. 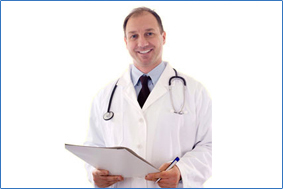 The two main forms of treatment are casting and surgery. Most children with metatarsus adductus can correct the deformity with normal use of their feet as they develop. These cases do not require any treatment. If the forefoot adductus is severe, your doctor may prescribe stretching exercises which he will teach you to perform at home on the baby. X-rays are usually not necessary, unless the doctor suspects something else. If you have any doubts about your child's foot health visit a chiropodist or podiatrist for a evaluation.